For some reason, there seems to be such a stigma towards mental health in general. It's that stigma that prevents people from seeking the help they need. The idea is out there that asking for help, or even just having a mental illness, makes you weak or that you should feel some sort of shame like there is something wrong with you. But guess what. They are wrong! There is absolutely nothing with you. And there is definitely nothing wrong with needing a little help through it sometimes. Whether it's depression, anxiety, ADHD, Autism, or something else, sometimes what we really need, is to just talk to someone. It can not only help you ease your mind and stress, but it can also be extremely beneficial to your health and treatment. That is a huge reason why there is nothing wrong with speaking to a licensed psychologist or therapist. My daughter was diagnosed on the Autism Spectrum at the age of two. While we went through a ton of early intervention and in school therapy, and she has come a long way (from completely non verbal to high functioning), within the last few years we have added speaking with a licensed professional every 1-3 months. She can tell the doctor her frustrations and worries, and he can help her (as well as my husband and I) figure out ways to combat those two things. My daughter's doctor has even offered therapy for my son with ADHD and to my husband and I, both individually as well as a couples therapy. There's no doubt that having one child with a diagnosis can be stressful to the family unit, but it's even more so with multiples. So talking to a therapist has been wonderful for all of us in many ways. Another instance for me personally, where I felt that speaking to a therapist or psychologist would be hugely beneficial was during a time when I struggled with a lot of personal things. Sexual assault, stalking, bullying, depression, and severe anxiety all take it's toll on a person no matter the age or gender. And as a mother, if I am not feeling my best both physically and mentally, I am no use to my family. They count on me to be the best me I can be, and to take care of them. I can't do that if I'm not even taking care of me. 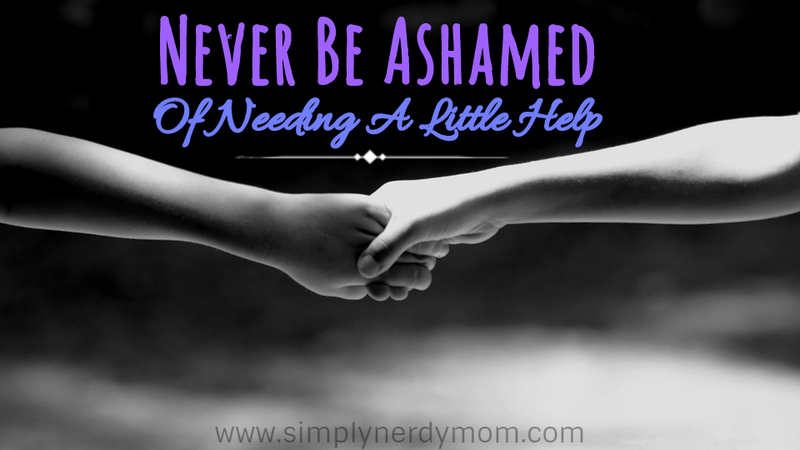 So you should never, ever feel ashamed to seek out a little help. As a matter of fact, seeking out help is highly admirable. It means you are dedicated to taking care of yourself. And that's really important.